This is going to haunt me for the rest of my life. I dont know but that thread has 24K views so chances are pretty high at least one did lmao! Lmfao look at me go bringin in the traffic! Hey man hope you're doing okay, I miss hanging out in our own little world of Skype and unscape. 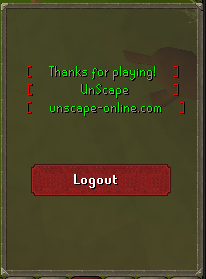 You should remove the 'Halloween is over' login message.